Daniel is a husband, father, and pastor who is always learning more about what it means to love & follow Jesus in the everyday and in-between, and seeking to help others do the same. Daniel and his lovely wife are the lead pastors of Anchor City Church, a third culture, multi-generational church they helped to plant in San Diego. Anchor City believes a diverse church who reflects the joy and creativity of Jesus is a beautiful, credible witness to our divided, broken world (Revelation 7:9-10). You can read a little bit more about the vision and heart of Anchor City Church here. Daniel serves on the Advisory Board for Justice Ventures International, a non-profit organization working to fight human trafficking and modern-day slavery around the world. Born & raised a Michigander (and, therefore, a longsuffering Lions fan), Daniel has lived on both the east and west coasts of the United States. Daniel is a music fanatic, indie rock in particular. Daniel has written for Outreach magazine, The Way Bible, relevantmagazine.com, and other sites. He also freelances as a web editor and graphic designer. You can read more about headsparks* at the bottom of this page. People are always asking Daniel how he ended up marrying such an amazing, cultured, funny, intelligent, beautiful, and godly woman. He has no idea, but counts himself extremely blessed! 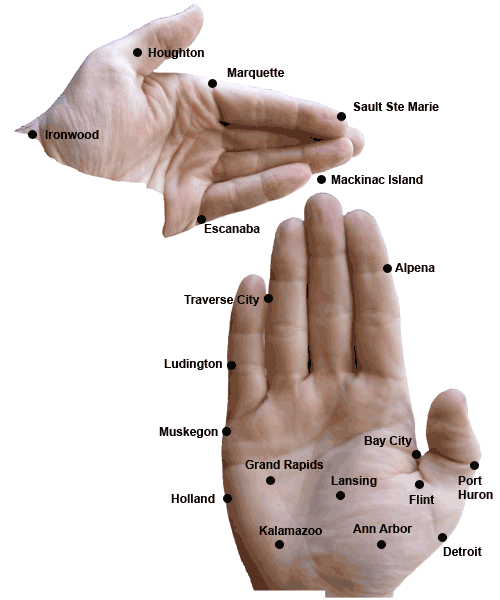 His wife is still oddly fascinated by the strange ritual two Michiganders will go through when meeting for the first time — using their hands as a map of the state to point out where their hometown is located. They have one daughter, who lights up their home with her smile and electrifying dance moves. Sometimes Daniel will catch her singing Regret by New Order while she’s brushing her teeth. Whenever she hears I’d Rather Dance by Kings of Convenience, she asks if they’re going to have a dance party. And they always do. My thoughts, comments, opinions, lists, and general meandering on this personal blog belong to me and do not necessarily represent the views of my church, my family, or anyone else. I welcome constructive dialogue and conversation here. While I wouldn’t say that it saved my life, indie rock was a sort of refuge during my formative years. Brushing the surface of several different worlds and cultures, but never really taking roots in any of them, the world of indie rock wove a narrative that, for me, made at least a little bit of sense. The music was what mattered, and it was the music that created the community. The anthems of Fugazi awakened me to issues of justice, gender, and politics; the fierce do-it-yourself ethic of Dischord Records showed me the importance of doing what you love, not just earning a paycheck. Jenny Toomey and Kristin Thomson released some great music through Simple Machines, and even taught others how to do the same. The sleepy, sprawling songs of Pavement convinced me that great art did not have to announce itself with trumpets, but could sneak in under the haze of a fuzzy guitar line. When Thurston Moore of Sonic Youth smashed the head of his guitar through one of his Marshall stacks, it was more than showmanship — there was an urgency beneath the noise – the glorious noise! – they generated. But for all of the camaraderie I enjoyed in this community, I still experienced a sense of disconnect. Although the music was transcendent, I rarely encountered someone who looked like me — and never saw someone onstage. That is, until I picked up an album by a group called Seam: Headsparks. I have always been an avid reader of liner notes. For reasons that are difficult to pin down, I always enjoy reading the lyrics, the thank-you’s (having even made it onto a couple of them), the songwriting credits, and other assorted miscellany hidden therein. I could hardly believe what I saw when I read the Headsparks liner notes and saw that a man named Sooyoung Park was the lead singer and guitarist. An Asian American fronted this amazing indie band (with Mac of seminal Chapel Hill powerhouse Superchunk on drums — drums)! Not only did Sooyoung create powerful music through Seam, he also spearheaded a tour called The Ear of the Dragon to support and spread the word about other Asian American rock musicians. He became a voice and an advocate for Asian Americans in a close-knit, creative community that operated with a new perspective in a large, established industry. Sounds a little bit like church communities that are springing up all around North America. I named this blog headsparks* out of a desire to become a voice and an advocate for Asian Americans in these new close-knit, creative church communities that are emerging with a new perspective within the larger, more established body of Christ. All too often, our voices are not heard and our faces are not seen. We don’t always feel at home, even in the church, but together – in partnership with the risen Christ – we can weave together a narrative that makes some sense.